Is Hillary Clinton Taking The African American Vote For Granted In 2016? I’m originally from the Mid-West, and my grandmother had this saying she used when the grandkids did something they should not have: “You don’t believe that fat meat is greasy”. Now for those of you that didn’t have a grandmother like mine, let me put that in simpler terms. It means “You are going to learn the hard way”. All over this country, the African American vote is taken for granted. Come hell or high water, we vote Democratic. African Americans have been SO loyal to Democrats that we are now no longer a part of the conversation when it comes to elections. It has been pointed out many times that the use of African American political consulting firms by Democrats running for office is minimal, compared to others. 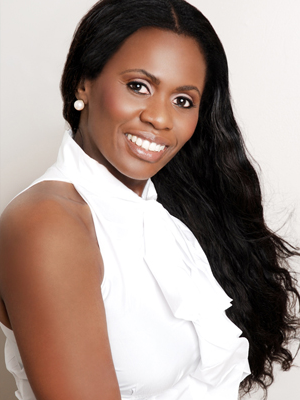 It has been noted that the use of Black Media in campaigns is minimal, compared to others. It has been noted that most politicians show up into the African American communities two weeks before a general election with back packs and a fish fry, and think their work is done. I was reading an article about Hillary Clinton’s run for The White House and her desire to win Florida. The article discussed how the Hispanic vote is up for grabs, given Jeb Bush’s and Marco Rubio’s ties to Florida. The article also discussed Hillary’s need to go outside South Florida, which is Democrat country, to try to win “White working-class women”. Just so you know, Black working-class women determine elections. Ask Terry McAuliffe in Virginia. This is where my Grandmother’s saying comes into play. If Hillary Clinton doesn’t believe that fat meat is greasy, she is going to learn the hard way. There wasn’t one mention of African Americans in that article. Not courting the African American vote has become the rule by both Republicans and Democrats. Hillary Clinton can’t win Florida without us. Now I would very much like to organize “Sisters For Hillary”, but right now, I’m not so sure that we are. My good friend Tezlyn Figaro, once a Democrat, but now an Independent, says she has had enough of being ignored by both parties. She is doing something about it, like starting the BlackOut2016 campaign. She is also fighting for the rights of those who have been wronged, like Monroe Bird III, shot and paralyzed by an over-zealous security guard in Tulsa, Oklahoma. Tezlyn has teamed up with famed attorney Benjamin Crump on this matter. When you look at the number of African Americans that turned out for President Obama, which was off the charts, the largest percentage of that number was women. Let’s be honest here. Things haven’t gotten better for African Americans in the last year. In fact, in certain respects, things have gotten worse. We are being killed in the streets, more often than not without recourse. Victor White, who the coroner says, shot himself in the back while handcuffed. Harry Houdini would be proud of that performance, wouldn’t you say? I could go on and on, because there are many more, but why. I’m sure you get the picture. Unemployment rates in the African American communities are still ridiculous. Our schools are sub-standard. All of this begs the question of why do African Americans give their votes away to people who clearly give less than a damn about us. Because I’m not one to run from a fight, and because I truly believe in the principles of the Democratic Party, I’ve decided to remain a Democrat. 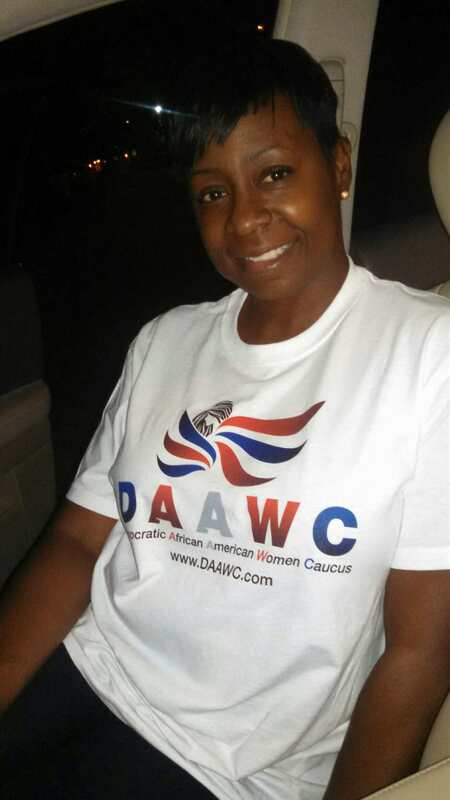 I have founded the Democratic African American Women Caucus, because our needs aren’t being met, or our voices heard, by the traditional Democratic Party. Despite intense opposition from the dysfunctional Florida Democratic Party, and it’s leaders Allison Tant and Scott Arceneaux, the DAAWC is growing like wildfire. We are having a Candidate/Leadership training event April 25, in Ft. Lauderdale. Black Women are standing up for our sons, our daughters, ourselves, and our votes. Now I know that I said I am a Democrat because I believe in party principles, but that does not mean that I’m adverse to showing Democratic Candidates that take the African American vote for granted, that fat meat is greasy. The hashtag #BlackLivesMatter has become the rallying cry for our community. The DAAWC says #BlackVotesMatter, because they do. Candidates, to include Hillary Clinton, can learn that fact the easy way, or the hard way. The choice will be up to them. I voted for Hillary in the 2008 campaign. Now I am undecided and hope that the Democratic party does stifle all other candidates and give Hillary a shoe in. 2016 will not be easy. Politicians forget the young voters. If she is handed out on a platter as the candidate I will vote for her. But, but, don’t expect me to campaign for her. The leadership of my party has lost it’s doggone mind. How soon we forget. I will not vote for Hillary because I still remember the racial innuendos she and Bill were throwing at Obama in the 2008 race. From the suggestion that he might be assassinated to Bill insinuating in front of a black church that Obama was “unelectable” they showed their true colors. Black folk were in an uproar about it then, but now all is supposed to be forgiven? I think not. Wake up brothers and sisters and stop giving our vote away!!! Under no circumstances should any black person in America vote for Hilary Clinton. I’m not just going to run out and cast my vote for her just because she’s a woman. During the Clinton era, more black people were incarcerated and new prisons were built. We have enough problems with the murder of innocent unarmed black men right now. Why would we put someone in office that doesn’t have a clue about the issues of the Black community (although she pretends to care) She offers her sympathy not her empathy which is a huge difference, as well as a huge red flag for me. She lacks sincerity (just watch her cold smile). We do not need 16 years of the Clinton era, green lighting police forces and red lighting black peoples freedom. I will probably vote independent this time around because the Democrats have taken the black vote for granted for far too long! Overall I do agree that the political establishment regardless of the Party involved takes the Black vote for granted. What I think Black people should really understand is there isn’t political involvement for our peoples without economic leverage. There just isn’t. That’s not how modern-day politics works. For example, Black people can have the “moral argument” all day long, but we’re dealing with people and structures who will destroy us and our families without a first thought. The proof is what is happening all across the country. Because of this, our peoples have to change our perspective and handling of different situations. In summary, the “moral argument” is powerful and necessary. However, only with economic leverage will this argument be made effectively to change the destructive trends that our peoples are entrenched in. The good news is there are numerous Black people who are making money. The question is: How are they leveraging it? I would like to ask this question: Why are the Black Corporate Attorneys meeting at the PGA Resort in Palm Beach next month? For those who understand leverage and how to properly use it, it is very clear as to the reasons I have asked this question. There is nothing wrong with the plans to meet at a first-rate venue. However, how about meeting at a venue that may be more in agreement with the interests of Black Corporate Attorneys, their families and communities that they come from and need them now? The Mandarin Oriental in Miami is exquisite! I am a black women and I will NOT vote for Hillary Clinton. I have not forgotten the racist tactics she used when running against President Obama. She showed her true color. She is not a friend to the black women that being said not a friend to blacks at all. Yes, she is a women but not a women that is concerned about black women issues. Let’s not listen to what she says…but DOES! Anyone can say anything when trying to win a vote. Don’t be fooled! Before, I vote for Hillary. If Hillary wants our vote; WORK for it! And not just with her fake smile and pep talk words! Hillary Clinton praises woman who wanted to kill black, poor and disabled people. Holy shite. Are we African Americans this STUPID that we would vote for Hillary Clinton?????????????????? WTH baby??????? Hillary fakes accents to get votes. Just pathetic. What a con artist. Mentally ill.